Is it just our family or do dads make the best breakfast? When I go back home I can always count on my dad to make me whatever I want for breakfast: waffles, coffee cake, oatmeal, or my personal favorite, scrambled eggs. I don't know what he does, but scrambled eggs always taste the best when my pops makes them for me. 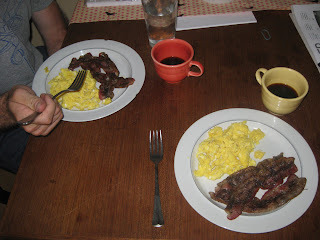 That is why I thought I would dedicate this Father's Day post to my dad's best meal, eggs and bacon! 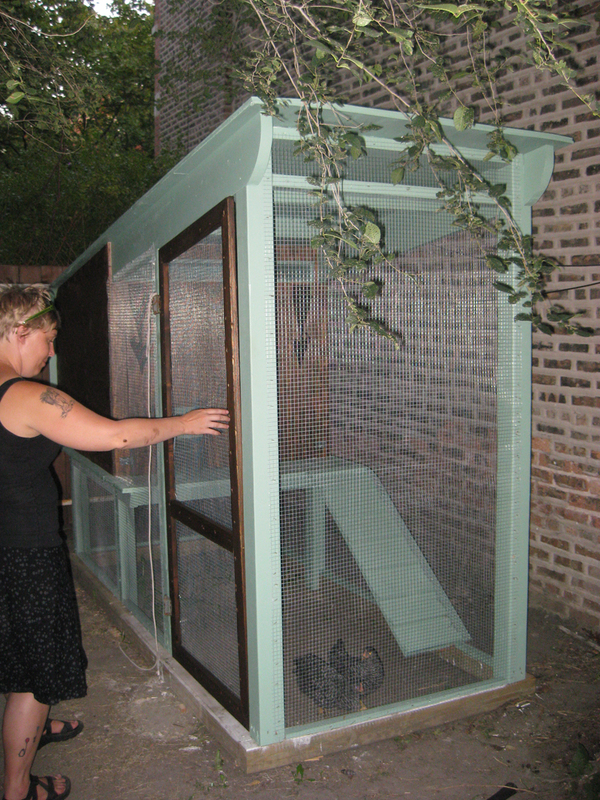 Last summer Max designed and helped build a chicken coop for our friend Garrison, and yes, he rents an apartment in the densely populated neighborhood of Albany Park, a true urban farmer he is. 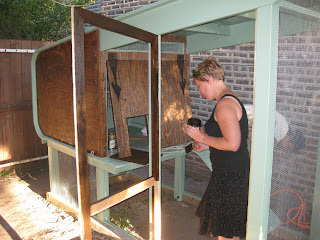 Here are some pics of the designer chicken coop in progress. 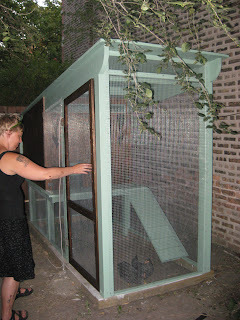 The hens testing out their new home. 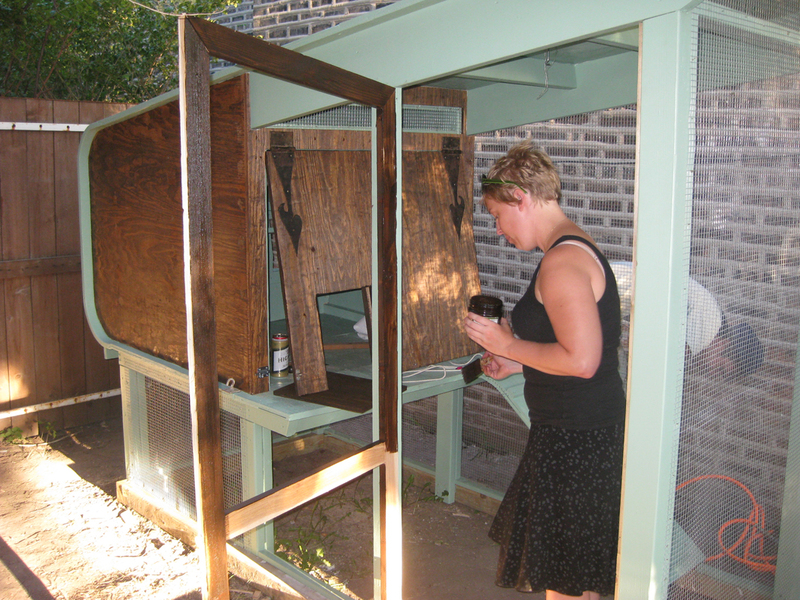 I think Max and Garrison could go into business designing and building upscale chicken coops, don't you? Anyway, Garrison brought us over a dozen fresh eggs recently, so naturally we needed to make a farmer's breakfast of bacon and eggs. The scrambled eggs were prepared just like normal. I whisked the eggs, salt, pepper, and a little milk together and then put them on a hot skillet. 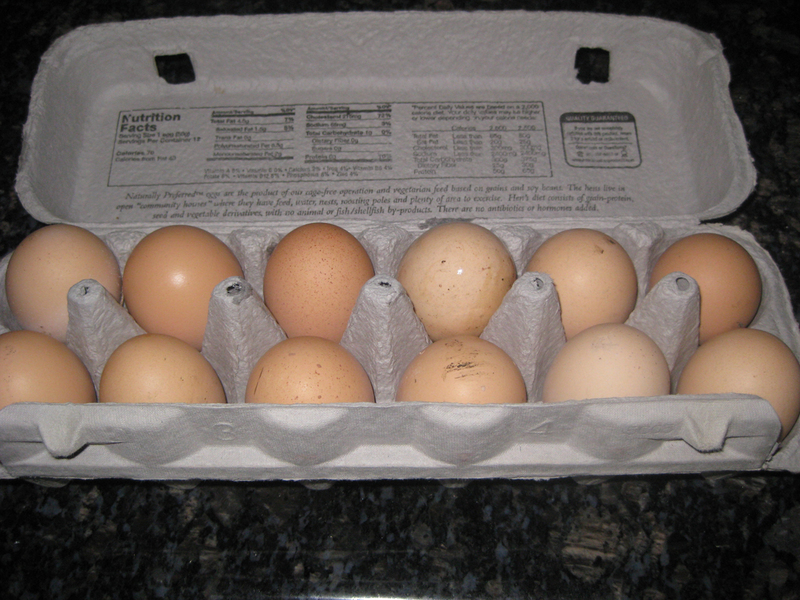 If you ever doubted the power of fresh ingredients, I think buying farm fresh eggs at a farmer's market will sell you on them every time. 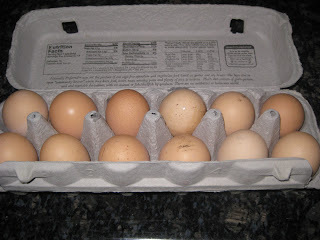 They are noticeably more flavorful and delicious than the eggs you buy in the store. Oh man, I am wishing I still had some! I opted for a little something different with the bacon though. I restaurant I frequent when I head back to the capital city of Lincoln, Nebraska is Bread & Cup. They have this delicious bacon that is coated with pepper. I decided to give this version a whirl. So I liberally coated both sides of the bacon with pepper then put it on a hot skillet. The bacon cooks a little slower with the pepper on it, and the pepper also locks in the delicious bacon juices. It turns out oh so good. The bacon has a spicy kick to it and the texture is awesome. This is a great way to change up regular old bacon. So here it is folks, the easiest of breakfasts with a little punch from farm fresh ingredients and pepper. Now the real question is, was it as good as my dad's? Not a chance. . . Happy Father's Day, Pops and to the rest of you fathers out there! Oh my, what a delicious pizza pie!